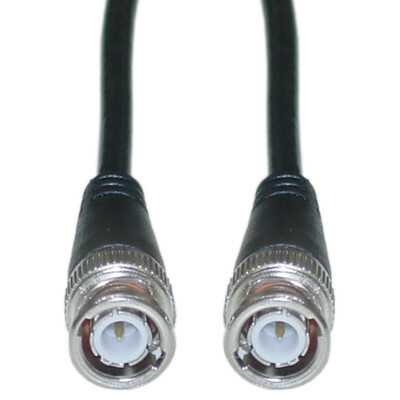 This 6 foot black BNC cable is primarily used for connecting up Ethernet Coaxial networks and features a stranded copper center conductor and fully molded nickel connectors for superior signal retention. Good quality cable and connectors. good antenna cable, good price, nothing fancy and not cheap, just right. It would have been nice for the items I ordered to have been available from your Atlanta distribution center. Delivery would have been much quicker and likely cheaper. However, shipping was prompt.